Ever since we launched the Cleartrip app for iOS more than 3 years back, we’ve been committed to offering all our iOS device users the best travel apps on their iPhones, iPads and even Apple Watches. This commitment has led to many industry firsts – from supporting Passbook, redesigning for iOS 7, building a universal app for iPhone and iPad, to being the first Indian OTA to have an app for the Apple Watch. Today, we’re proud to add another leaf to this bouquet: support for 3D Touch. 3D Touch adds, as the name says, a third dimension to the experience on iPhone. With a quick hard press on the screen you can preview content or access frequent tasks quickly. 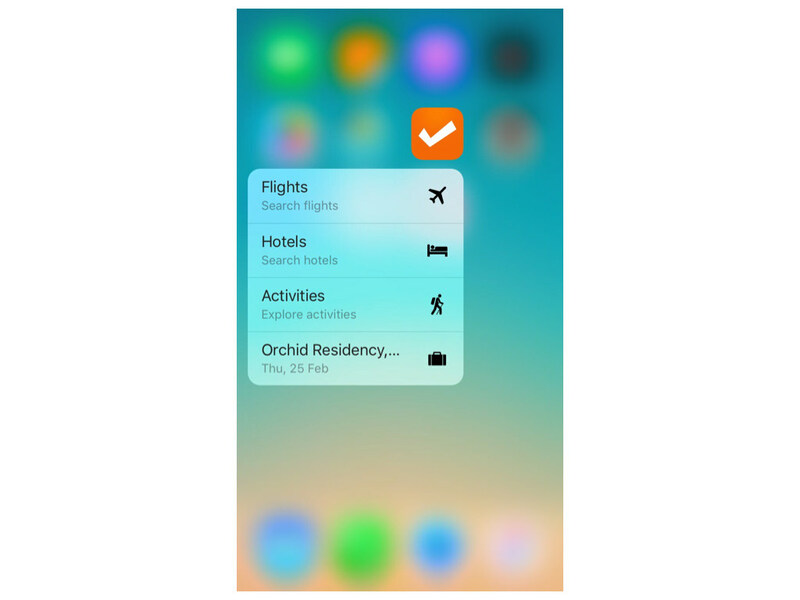 With 3D Touch support in the Cleartrip app for iOS you can access quick actions that you need most frequently. 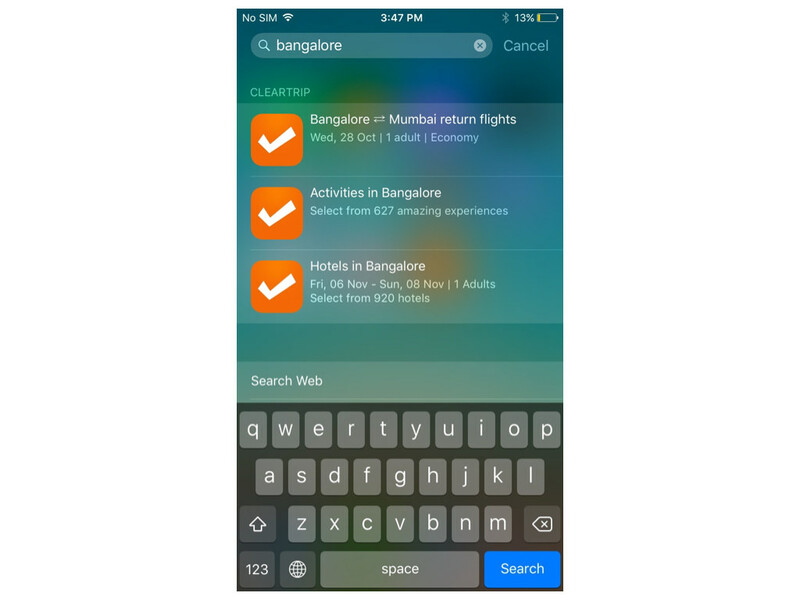 Right from the app icon you can now jump in to search flights, hotels or activities. We’ve also added a shortcut to your most recent upcoming trip. It’s as convenient as it can get. The thing that makes us really proud about building the 3D Touch support in the Cleartrip app, is the fact that we did it without a device, or a simulator. A big shout out to our awesome iOS engineering team who managed to hack the simulator to do basic tests before we launched and managed to be in the store on launch day. So far we’ve just scratched the surface of what’s possible with 3D Touch. Now that we have our hands on an iPhone 6S, we are busy pushing the limits of what is possible with 3D Touch. Watch this space for more. With this update we’ve also added support for Spotlight Search and Universal links. Now whatever you do on the Cleartrip app – be it a flight, hotel or activity search or view a trip page – it is indexed and searchable from Spotlight. That means these results appear in Spotlight search when you search by a city name or activity name that you have previously searched or booked. You can simply tap on the result and get into the relevant trip or search result page directly. In this entire flow we have ensured that we only index results that you have shown an interest in or something that Cleartrip can help you with. With Universal Links, when you search for flights or hotels on www.cleartrip.com in Safari on your iOS device, we will take you to the Cleartrip app to make the search and book experience faster and easier. This works only if you have the Cleartrip app installed on your device.